I awake daily, almost violently, with racing thoughts of every remaining task. My mind will calm down as I capture these errant thoughts in my task lists over morning coffee because this forces me to remember how much work I’ve done in just about 6 whirlwind weeks. This photo summarizes that point: while it’s a seemingly chaotic mess, this is it for my CDs left to move. I’ll impulsively clutter the empty shelves, but increasingly less. WANNA AVOID MOVING PILES OF CLUTTER FROM ONE AREA TO THE NEXT? THIS IS HOW I’M LEARNING THAT PROCESS? CLICK HERE TO KEEP ON READING! 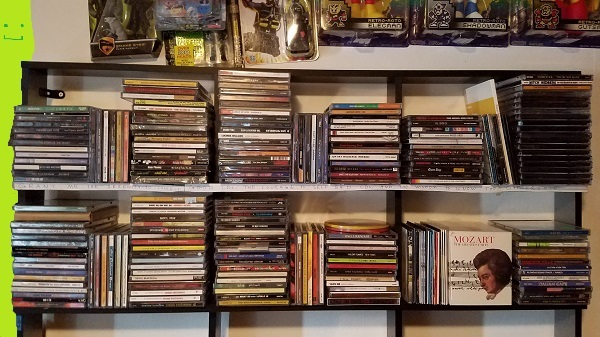 Since 2008, I’ve participated in a game of hearing as many albums released in that year as possible, and I’ve incorporated my own stipulations: no greatest hits albums with an unreleased song, no archival releases by posthumous musicians, and re-releases of albums officially released in another year don’t count. 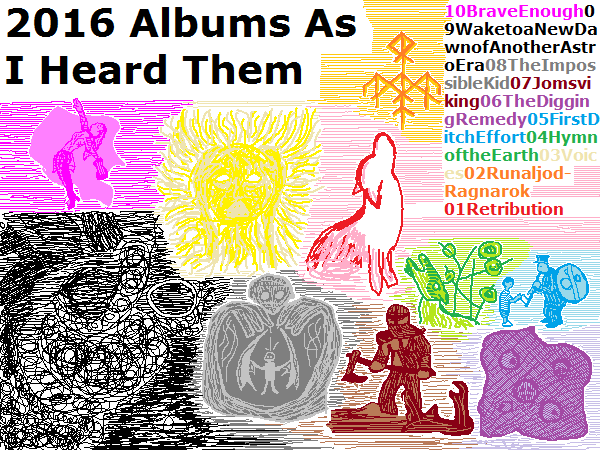 The complete list of the 104 albums I heard is over at my RateYourMusic account.